In parallel with the trend of the continuous digitization of our world, the ‘live experience’ continues to gain in importance, too. After all, personal contact cannot be matched by anything else. In a commercial context, however, this personal contact should ultimately result in some form of yield, as there is always some form of transaction involved – whether it be money, time, or effort that has been invested. 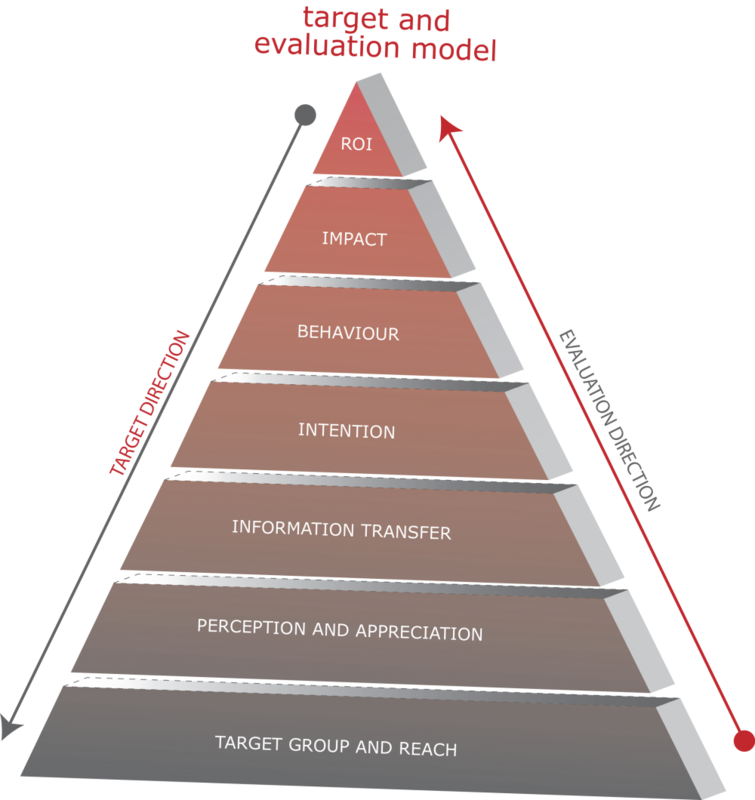 Regardless of the exact form of live communication, the starting point of all our research efforts is our Objectives and Evaluation Model. It goes without saying that in specific cases the model will have to be interpreted in a more figurative way, but it can be applied equally well to visitors of an exhibition and visitors of a theme park. How do you plan to achieve the desired effect? Naturally, live communication effects can vary from doing business at an exhibition, to an unforgettable experience at a festival – and every imaginable event in between.